The cloud-based practice management platform Rocket Matter today announced that it has added email integration. This means that users can associate folders in whatever email program they use — whether it is Outlook, Gmail or another — to the Rocket Matter system. Thus, email folders for specific clients can be associated with those clients on Rocket Matter and be readily available, including attachments, from wherever you access Rocket Matter. The feature works only if you are using the IMAP protocol to control your email, rather than POP. If you use Gmail or access your email via a Microsoft Exchange server, you are probably using IMAP. With IMAP, your emails remain stored on a central server, making them accessible through multiple devices. With POP, the emails are actually downloaded to your computer and removed from the server. The new Rocket Matter feature does not remove emails from your IMAP server, it simply accesses them there once you provide your email log-in credentials. The emails remain accessible through your standard email software as well. 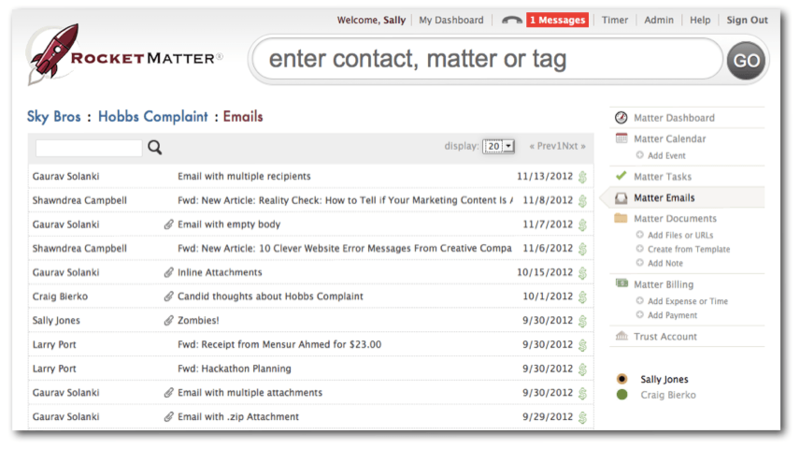 Rocket Matter’s email integration includes the ability to search emails by subject, contents or sender. It also allows you to quickly bill your time for an email. According to Evan Koblentz writing in Law Technology News, Rocket Matter is not the first practice management platform to offer IMAP email integration; HoudiniESQ has had it since 2009. 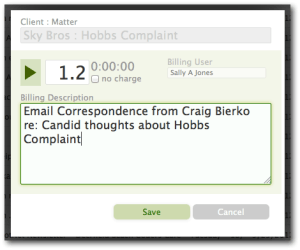 For another review of Rocket Matter’s new feature, see Erik Mazzone’s post at Law Practice Matters, where he writes, “Rocket Matter deserves credit for advancing the ball for cloud-based practice management software.” I can’t argue with that.